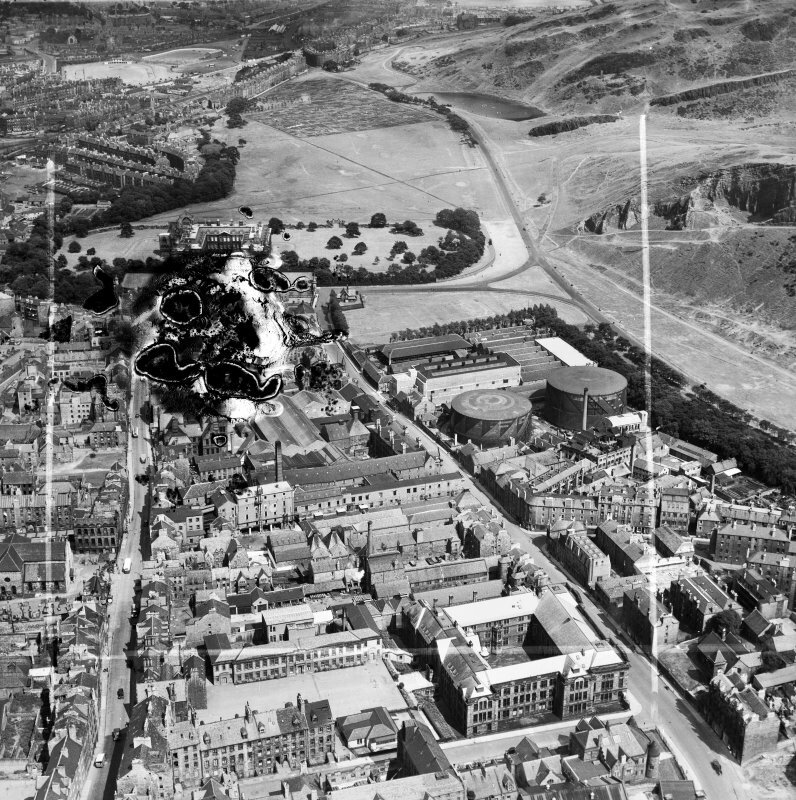 Edinburgh, general view, showing William Younger and Co. Ltd. Holyrood Brewery and Holyrood Park. Oblique aerial photograph taken facing east. This image has been produced from a damaged and crop marked negative.